Content for this eBook excerpted from the following books:C.H. Spurgeon's Prayers, The Pastor in Prayer and Behold the Throne of Grace. Many of these prayers of Spurgeon have been “personalized” by taking the Elizabethan language out and replacing it with contemporary language such as: “Thee” and “thou” replaced with “you”, and “taketh” replaced with take or taken. References like “London” have been replace with “city”. Sometimes sentences have been omitted because they don't have any meaning for today, this is indicated by showing a series of periods (…..) . THE day on which a volume of C. H. Spurgeon's Pulpit Prayers appears is a day to be desired. Many will now rejoice to see that day. Decidedly this selection of the great preacher's prayers supplies a want. Many of us have long hoped for such a volume; and now we welcome it with warm gratitude. Lovers of C. H. Spurgeon will delight in this treasury of devotion. They will not open the book without keen anticipation, and assuredly they will not close it with disappointment. It was memorable to hear this incomparable divine when he preached. It was often even more memorable to hear him pray. Dr. John Cairns, the golden-mouthed preacher and scholar, much as he rejoiced in C. H. Spurgeon's sermons, rejoiced yet more in his prayers. Many can bear a similar witness. Who talked with God as Spurgeon did? His congregational prayers — and I heard many — are always echoing in my grateful heart. They are sweet and luminous, in the memory, as angel-presences. Never did I hear him pray without adoringly saying, “Lord, it is good for us to be here.” How naturally prayer fell from the lips of that great apostle; We felt that he was only doing before the multitude what he was habituated to do in private. Prayer was the instinct of his soul, and the atmosphere of his life. It was his “vital breath” and “native air.” How naturally he inhaled and exhaled it! The greatness of his prayers more and more impresses and delights me. He touched every note. He sped as on eagle's wings, into the Heaven of God. The things that were given him to utter in prayer were often more profound and beautiful than the sayings that left his lips in preaching. This has often been a feature of the greatest ministries. A noble intellect shines with the glory that excels when it is turned towards God. A man of God is frequently at his intellectual best in prayer. Assuredly it was not seldom so with the beloved Pastor. I once heard him speak thus with God: “O Lord, if some of us began to doubt You we should begin to doubt our senses, for You have done such wonderful things for us. You have done more for us than You DID for Thomas. You DID allow Thomas to thrust his finger into Your wounds; but You have often thrust Your finger into our wounds, and healed them.” Did he not speak by the Spirit when he uttered the pathetic and lovely word? His wonderful knowledge of Scripture made his prayers so fresh and edifying. No man can pray with high effect unless he is steeped in Scripture. Mr. Spurgeon lived and moved and had his being in the Word of God. He knew its remoter reaches, its nooks and crannies. Its spirit had entered into his spirit; and when he prayed, the Spirit of God brought all manner of precious oracles to his mind. 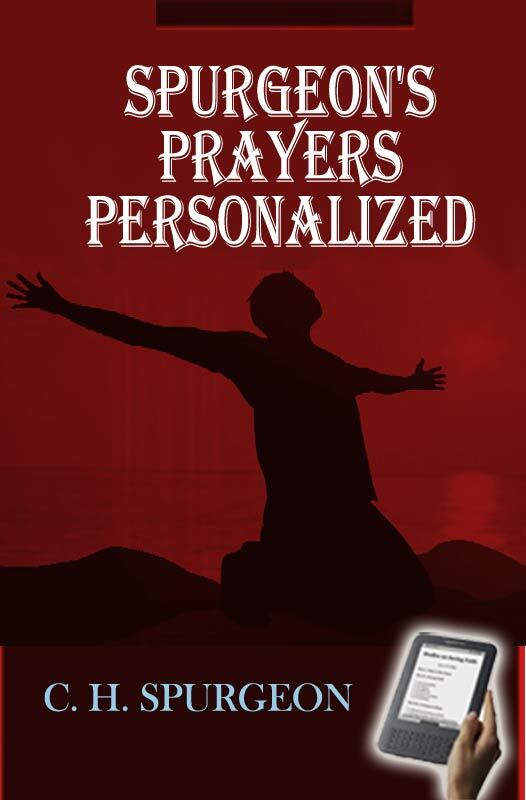 Then he lived so entirely in the spiritual world that he was ever ready to pray. He had not to school himself at the moment. His pulpit-prayers were not art, but nature. Every prayer was the effluence of a consecrated personality. No liturgy could have restrained him. One could not imagine him making literary preparation for public prayer. The flower gave out its perfume without effort. The urn was ever being filled where the pure waters rise, and so afforded at any moment abundant refreshment. The quivering sympathy of Mr. Spurgeon's prayers thrilled all who heard them. You felt the throbbing of that mighty heart. He was royal in his tenderness. Whom did he forget in those powerful pleadings? The faith of this great saint indeed worked by love. His prayers grandly evinced this. How ardent were those incomparable prayers! No hint was there of the dull, slumberous, tedious quality which too often has vitiated pulpit prayer. C. H. Spurgeon was a glowing-hearted “Remembrancer” of God. The warmth of the Baptism of Fire diffused itself throughout his supplications. The prayers at the Tabernacle kindled countless cold hearts. And the English was so delectable. We hesitate to call attention to the intellectual or literary aspect of prayer. Yet why should we? God's honored servant thought and studied so incessantly for God's glory that we reaped an intellectual harvest as well as a spiritual harvest from his devotions. Mr. Spurgeon loved God with his “mind,” and our minds were stimulated when we heard him pray. Let the holy urgency of his prayers be noted. He never lost his importunity. He pleaded for the immediate moment. “Now” was his plea; and verily then and there were we all blessed of God. As a perusal of this volume will reveal, Mr. Spurgeon's prayers were eminently “theological.” It is a warning, well worthy to be heeded, which a devotional master gave, “Beware of an untheological devotion.” The “theological” quality of C, H. Spurgeon's prayers was very notable. How he knew God — the Holy Trinity; Jesus, the Son of God and Savior of men; the blessed Spirit. These noble prayers will be seen to be full of theology. They were the utterances of one who studied God, delighted in God, and walked with God, especially with the God-man. Precious to him beyond compare was the Divine Redeemer. The blood of our redemption was his glory. The atoning cross was all in all to him. I would specially commend the “theological” contents of these prayers, for they are rich with enduring wealth. The sweet and holy memories of the prayers we heard no man takes from us. Many such memories will be aroused in many of the readers of this book. To those who never heard C. H. Spurgeon's glorious voice, these printed prayers will be valuable as suggesting his prophetic power at the Mercy Seat. We covet for this volume a great constituency. Of a truth these prayers are ideals of how men ought to pray. They are calculated to be great inspirations to ministers as they contemplate their congregational prayers. To all Christian workers they will afford real enrichment. For quiet home reading they will be invaluable. I am glad that the publishers have associated with these prayers one of C. H. Spurgeon's delightful and pungent sermons on prayer — an art, of all arts the greatest, in which he was a master indeed. Few could use,. “the golden key of prayer” as he so deftly could. May many be enabled, through grace, by the study of these prayers, to pray more abundantly and more effectually!